Let’s be frank here: chances are that you’ve seen at least one or two beautiful celebrities before you’ve even got into work in the morning. 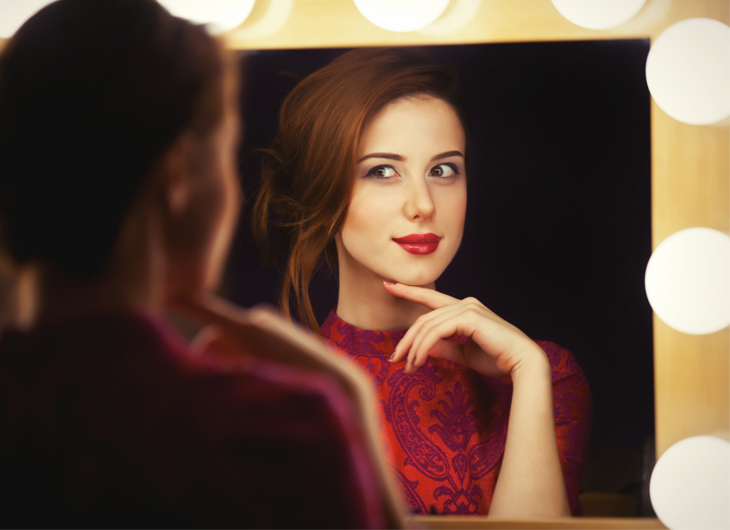 Whether they’re flashing smiles on morning TV, or beaming out from glossy magazine covers, it’s fair to say that we all get a bit jealous occasionally of those effortlessly attractive people, with constantly amazing skin. Of course, really we know that these skincare routines are anything but effortless. Celebrities have to work as hard as anyone else, if not harder! This week, we’re sharing a couple of the inside tips on how some of these stunning women keep their skin so perfect – some of them aren’t so hard after all! OK, so this isn’t exactly a massive secret, but it’s worth highlighting simply because so many celebrities make a point of mentioning it. Top skincare consultants to the hottest stars recommend giving yourself an at-home facial at least once every week. Start by cleansing your skin with a foaming wash, which should get rid of any dirt, makeup and residue that’s building up on your skin. After that – exfoliate! Australian model Elle Macpherson can’t stress this enough, while American model Christie Brinkley says that she starts every day by exfoliating her face, and has done for the last 40 years. That might be too much for some people – we’ll leave you to be the judge! This comes straight from Renee Roleau, a top celebrity aesthetician whose clients include people like Sophia Vergara and Demi Lovato. While you may have heard it said that drinking water is the best way to hydrate your skin, Roleau says this isn’t technically true. Drinking water is definitely good for your health in general, but it tends to get absorbed into your bloodstream, then filtered out by your kidneys. It doesn’t really reach your skin cells! Instead, Roleau says, the best way to make sure your skin is properly hydrated is by using an alcohol-free toner, then sealing it in with a skin serum that contains hyaluronic acid and sodium PCA. It’s that universal truth again: what you eat definitely affects your skin. Olivia Culpo feels the struggle – she says that she has a particularly sweet tooth, and so had to work hard to cut down on ice cream. That combination of both sugar and dairy can be dreadful for your skin! Instead, she recommends switching it with greens like spinach, kale and collards. If you’re not keen on incorporating those into your evening meals, you can always do what Jessica Alba has been known to do and juice them instead, so you can gulp them all down on your way to work in the morning. Erin Heatherton is another advocate for a good diet – she specifically mentions the importance of eating a lot of foods rich in Vitamin A to keep your skin clear. (Vitamin A, incidentally, is a major focus of our Retriderm range of skincare products.) Olivia Palermo’s back with a final note on that, which is that eating berries can give your skin a great boost, as they’re packed with natural antioxidants. We’ve said it before here at AP Skincare, and we’ll say it again – it’s called beauty sleep for a reason. Nighttime is when your skin recovers from its daily trials, and puts itself on repair mode. If you’re not getting enough sleep, your skin won’t have time to properly recover, which means that it quickly starts showing that overtiredness for all to see (including those dreaded dark circles). It’s simultaneously the easiest and the hardest tip on this entire list, but trust us – it’s worth the effort it takes to change your habits! Here at AP Skincare, it’s our pleasure to help your skin stay looking and feeling amazing. We provide a number of amazing skincare treatments – derma facials and chemical peels are particularly popular at this time of year! Why not pay a visit to our Blackburn treatment centre and see what we can do for you?